Lilly Singh spread some cheer amongst her fans. YouTuber Lilly Singh, better known by her moniker 'Superwoman', recently gave away $1,000 to celebrate reaching 1,000 vlogs. The third highest-paid YouTuber in the world spread some early Christmas cheer amongst her fans by helping them with everything from their gym memberships to books to rent and groceries. 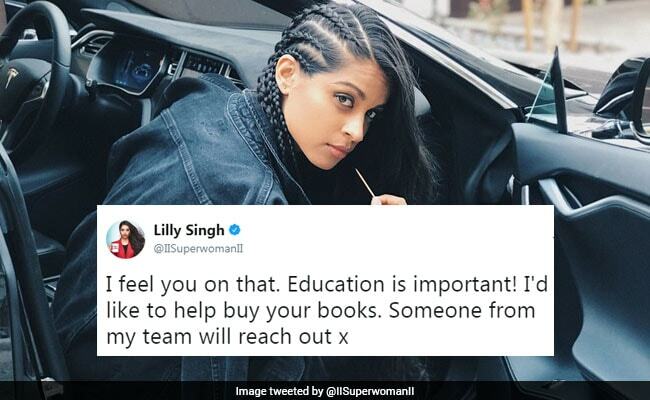 On November 7, Lilly Singh asked her 4.5 million Twitter followers about the challenges they're facing and then offered to give cash to help them tide through. My mother was arrested recently and I'm working as hard as I can to get her out. Becuz of this I'm on my own with my 10 year old brother trying to take him 2 school and pay for bills and food. It's really hard. I really need some kind of help. According to the BBC, Uma was 'speechless' when Lilly offered to pay her to take her sick mum out for a fun night. In May this year, rapper Nicki Minaj surprised her fans similarly by paying for their college tuition.